It’s wedding season on Nantucket. The beautiful island is overrun with summer people–an annual source of aggravation for year-round residents. And that’s not the only tension brewing offshore. When one lavish wedding ends in disaster before it can even begin everyone in the wedding party is suddenly a suspect. As Chief of Police Ed Kapenash digs into the best man, the maid of honor, the groom’s famous mystery novelist mother, and even a member of his own family, the chief discovers that every wedding is a minefield–and no couple is perfect. 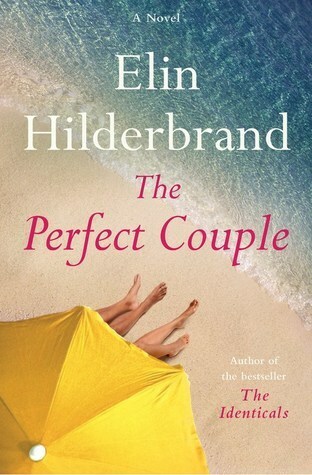 Featuring beloved characters from THE CASTAWAYS and A SUMMER AFFAIR, THE PERFECT COUPLE proves once again that Elin Hilderbrand is the queen of the summer beach read. 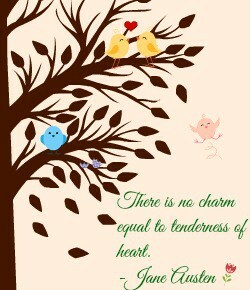 There are no such things as perfect couples… perfect relationships… perfect beings. I was intimidated by this book. It has over 450 pages and the adult mysteries that I read in the past were all rather slow if no large amount of suspense was included. But this mystery pulled me in from the very first page. It’s a fast-paced and addictive story. It’s not even that I became attached to the characters or found them particularly original, but the author had a lot to say. And it felt as though she herself was trying to figure out what happened to the dead maid. Who killed her? So many suspects… So many secrets… Drama, drama, drama. You know what I’ve learned recently? I’ve always kind of known that I respond to intensity, but I didn’t realize how much I love drama until I spend a whole day with someone who hates anything dramatic. I. Could. Not. Connect. So if, like me, you respond to drama and fast-paced stories, this is the right book for you! It may contain over 450 pages, but I read it in two days, three sittings, and honestly I wouldn’t have minded if it had been a little longer for more back-story on the characters. There are clichés that you will be able to spot right away, but that’s part of why it’s so darn dramatic and entertaining. And, by the way, there IS romance but this is a MYSTERY first and foremost. Interesting! I’ve only read one other Erin Hildebrand book, but it wasn’t a mystery and definitely NOT fast-paced. I love her books! I’m glad you enjoyed this one, I have not yet read It but your review makes me want to!